The villages, hills, and coastline of West Marin are best described in pictures, or better yet, a visit in person. This enchanting rural area is a place where time seems to move slowly. The 350,000 acres of West Marin are protected in parks or by County zoning as agricultural land (historically, dairy farms) with development restricted to parcels with a minimum of many acres. 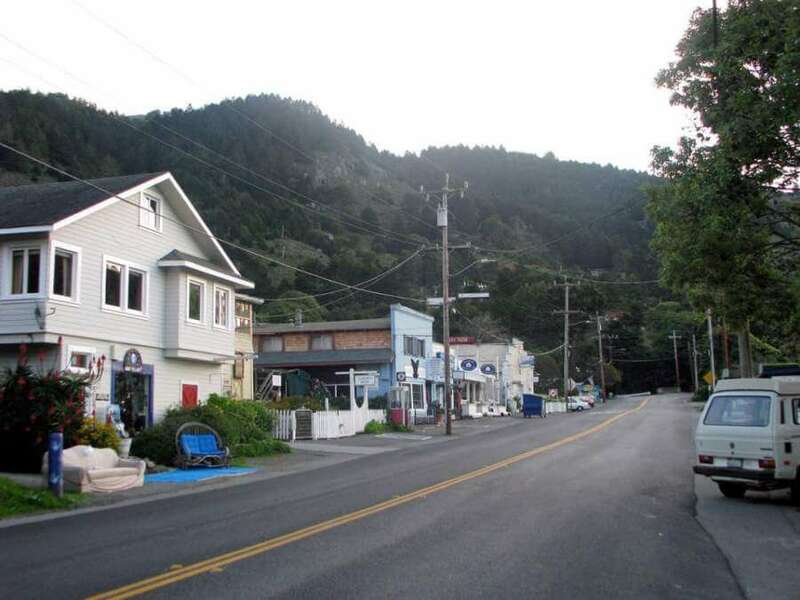 West Marin includes Stinson Beach, with its outstanding beachfront homes at Sea Drift, Nicasio, with its surreal town square and velvet-like, grass covered hills, and Inverness, stretched along inland Tomales Bay. Your best bet is to drive (or bicycle) west on Sir Francis Drake Boulevard to explore this unique area. 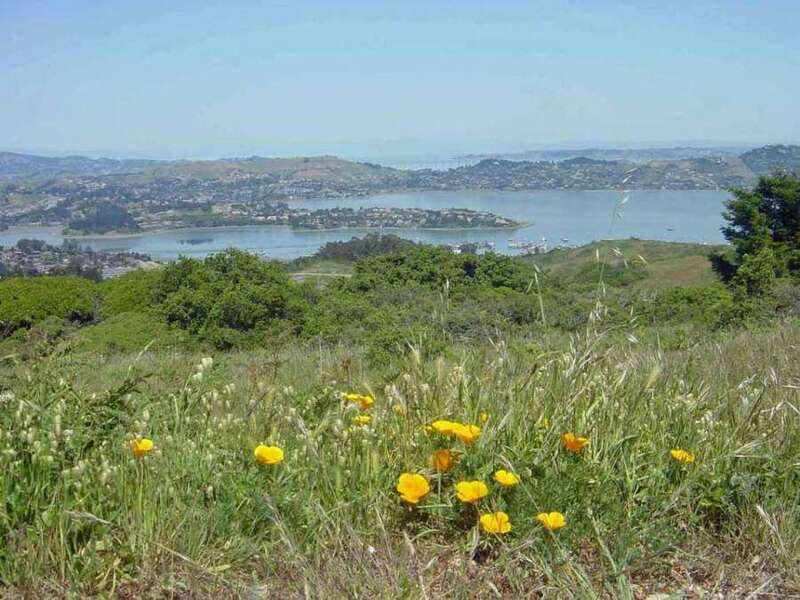 Owning West Marin real estate is like living in a dream, yet you are a short drive to San Francisco and the East Bay. However, once you get there, you may never want to leave! 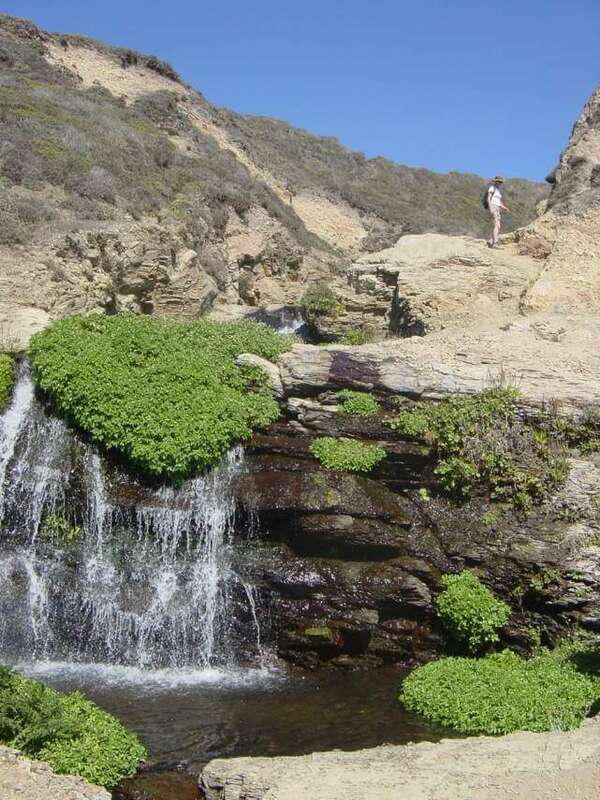 Few people live in West Marin, but many people visit the Point Reyes National Sea Shore and Tomales Bay State Park with their beautiful white-sand beaches, dramatic cliffs and ridges, wildlife, and views from Bodega Bay to San Francisco. This is vacation paradise, but you can also live there in one of the many villages. You may find the West Marin home of your dreams. The outline shows the larger villages close to Fairfax. View the larger map to see the smaller villages from Dillon Beach in the north to Muir Beach in the south. Muir Beach, at the south end of the Marin coastline, just 10 minutes drive from Mill Valley. Here is a history of Muir Beach. Sir Frances Drake Blvd from Hwy 101 in Greenbrae, through the San Geronimo Valley and Woodacre to the Hwy 1 coastal route. 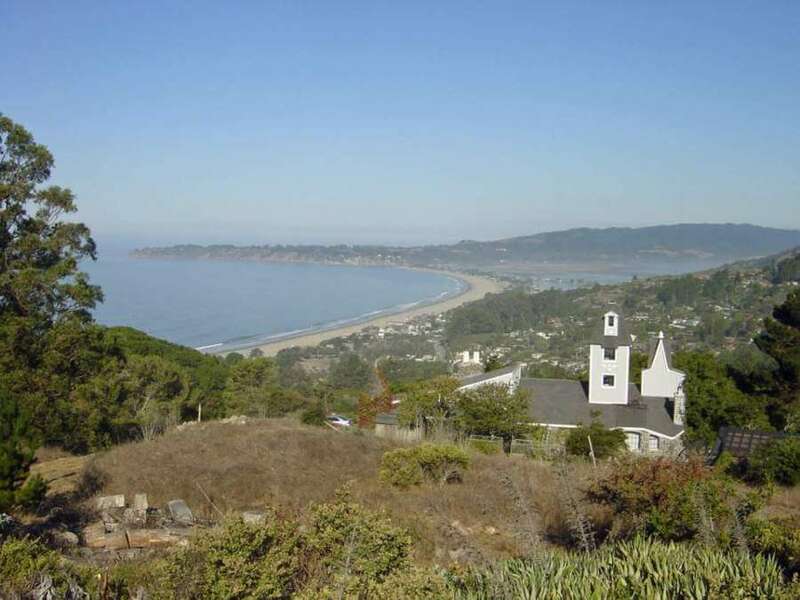 Hwy 1 from Mill Valley (also named Shoreline Hwy) through Muir Beach to Stinson Beach and Bolinas. Panoramic Hwy in Mill Valley, north along the crest of Mt. Tamalpais, finally meeting Hyw. 1 in Stinson Beach. The Marin County Transit District provides bus service to West Marin. Bolinas Coast Cafe, Bolinas. It’s Bolinas so it has to be organic and unusual. Worth the trip to see this seaside village. The Lunch Box, Stinson Beach. Great food to take on your beach adventure. Thoughtfully prepared. Nick’s Cove, upscale rustic by famous restaurateur Pat Kuletto, right on the water in Tomales. We went there for our Christmas office lunch. Upscale cabins for an overnight stay. Olema Inn, at the junction of Sir Frances Drake Blvd and Hwy. 1 since 1876. This lovely country inn serves fine food and offers six rooms with period furnishings. Osteria Stellina, Point Reyes Station. Pt. Reyes’ newest addition, “Pt. Reyes Italian” with all local foods. We tried it last year for a birthday celebration. Loved it! Pellican Inn, Muir Beach. A true replica of an English country Inn just 15 minutes from Mill Valley. The food is very good and the atmosphere unique. They also have rooms for overnight stays. Rancho Nicasio Restaurant, Nicasio. Music, meat and potatoes, in a fabulous setting. Smiley’s Saloon and Restaurant, Bolinas. A good example of local culture. Audubon Canyon Ranch, Bolinas, home to the blue herons and snowy egrets in nesting season. Pt. Reyes National Seashore. Wild, gentle, and sensational—all at the same time! Samuel P. Taylor State Park. Just 15 miles west of San Rafael on Sir Francis Drake Blvd. Slide Ranch Located on the Coast, this ranch teaches children about the environment and health of our planet. Stinson Beach. White sands; rent a house on the beach for a relaxing retreat. Toby’s Feed Barn, in Pt. Reyes Station. 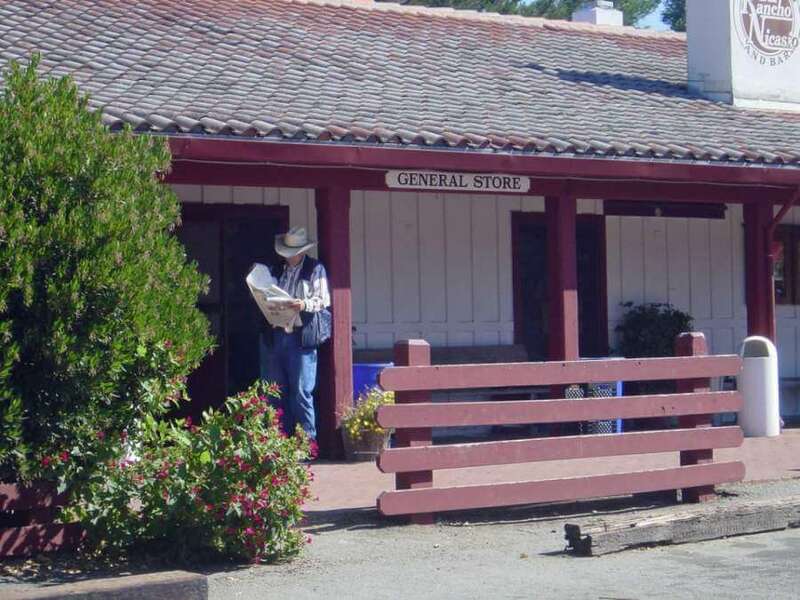 Step back in time to this upscale general store. Tomales Bay, a dramatic inlet from the Pacific Ocean along the Point Reyes National Seashore. Bed and Breakfasts. There are many charming B&Bs throughout West Marin. Here is another listing. Mancas Inverness Lodge, Charming 1910 hunting and fishing lodge, just about one hour from SF. Great restaurant. Nick’s Cove and Cottages, On Tomales Bay adjacent to the Pt. Reyes National Seashore. Newly built. Pt. Reyes Station Inn, Pt. Reyes Station, at the junction of Sir Frances Drake Blvd and Hwy 1. Offers large, modern rooms built and furnished in a cozy country style. The Pelican Inn Authentic English Pub and B&B.